The main body of the bag was made using Papermania's 'Vintage Notes' papers which has a lovely fabric texture and printed with various hearts in lovely subtle vintage colours. 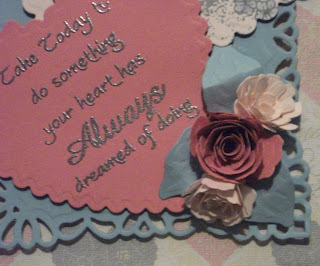 I cut the background mat using the largest of Spellbinders Resplendent Rectangles, I then stamped Indigoblu's Blazing Poppies on some cream card and cut it out using Xcut heart die, flowers were then coloured in using Distress Ink pens. 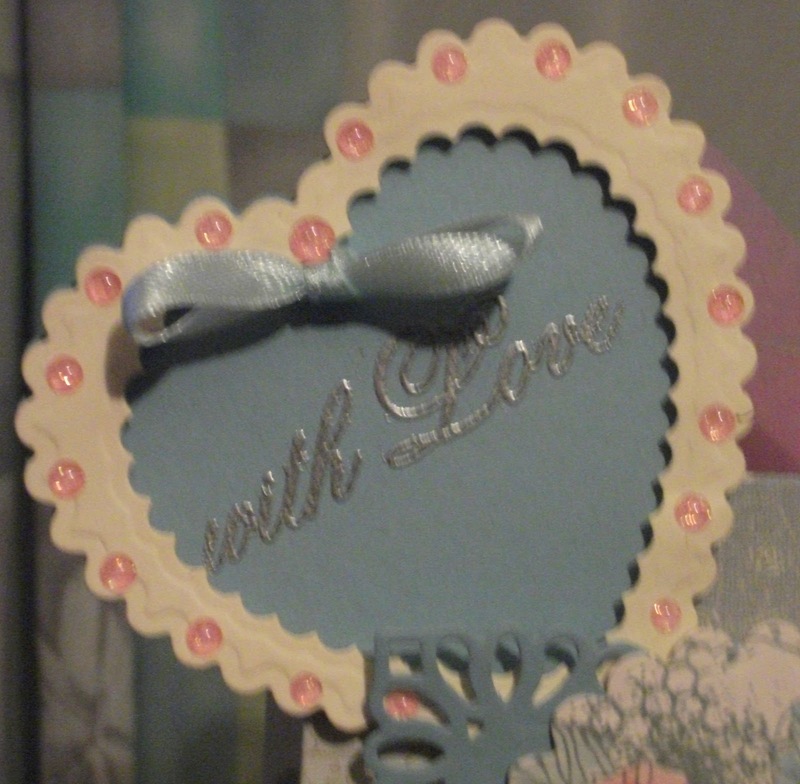 The sentiment is from Creative Expressions cut out using the slightly smaller X heart die. Flowers were made with Bitty Blossoms Spellbinder's dies.These elements were then attached using foam tape to give a bit of dimension. I kept the tag quite simple cutting a heart shape and stamping it with Clarity 'with love' stamp I then made a frame for it with cream card which I raised on foam pads before adding some pink gems. How lovely, Annie! 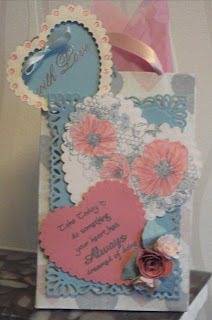 I love those gorgeous flowers and the dainty heart shaped tag! Your silver embossing is so elegant! Somebody is going to feel very special when they receive a gift in this bag! Very cute bag. Thanks for playing with us at Fussy & Fancy challenge. Congratulations Annie you've been hand picked in our top 5 over at Fussy and Fancy. Please pop over to the blog to pick up our badge for your blog.